The T20 series between India and Australia is level at 1-1 thanks to Australia’s win today in Guwahati. Despite recent rains in the city, the match was held and India were put into bat first. Youngster Jason Behrendorff did some serious damage by dismissing the top four which led to India’s scoreboard reading 27/4. The Indian middle and lower order tried to put up a decent score but the Aussie bowling was really good in the end and India were dismissed for 118. In reply, Australia were off to a poor start as they lost both openers within the first three overs. However, a 109-run partnership between Moises Henriques and Travis Head took Australia home with four and a half overs to spare. Let’s take a look at 5 reasons why India were defeated at Guwahati. Evidently, the gamble did not pay off as both Kuldeep Yadav and Yuzvendra Chahal conceded a plethora of runs. Henriques and Head were able to put pressure on the spinners due to the presence of dew on the pitch. The three pacers had an average economy rate of 5.88 while the two spinners went for an average economy of 10 runs per over. 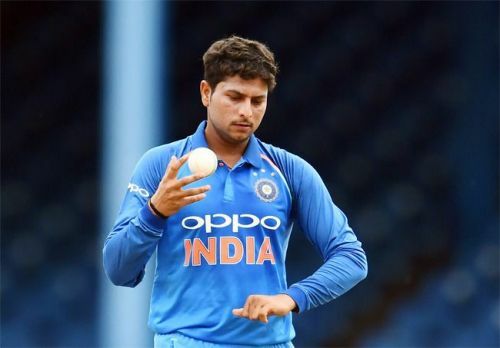 While Chahal went for 28 from his 3.3 overs, Kuldeep Yadav conceded 46 runs from his four overs.